Considered one of the most beautiful and elegant boats on Earth, it is built through unique techniques and each part of it also has symbolic meanings. For example, its multi-pronged ferro, or prow, does have five or six “pettini”, symbolic of the six “sestieri” in which Venice is divided into. The function of this part made of iron is to balance gondoliere’s weigh and it has an “S” shape evoking the flow of the Canal Grande. Not only elegance and beauty then, a whole world embodied into this boat nowadays symbol of Venice. Let yourself experience in first person the gondola through this tour. An enchanting and relaxing way to enjoy the colors, lights, sights, charm and beauty of Venice. You will admire elegant bank-side palaces, unique bridges and breath the charming and magic atmosphere that only a town built on water can give you. Can you imagine a better experience to share with the people you love? Probably difficult to find. 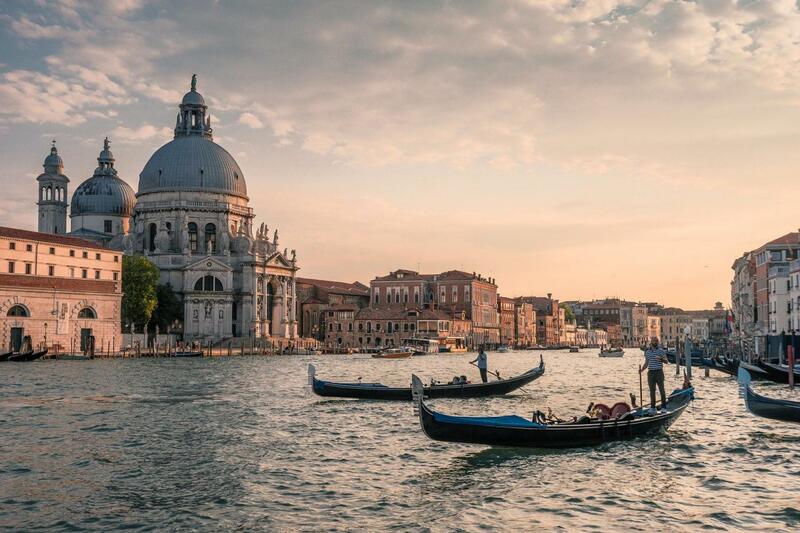 Just take your smile and beloved one with you, the timeless beauty of Venice seen from the gondola will do the rest.